Deployment of Cloudera Enterprise (CDH) 5.4.4 can be implemented directly on Microsoft Azure Virtual Machines & we can start working on Impala shell & Hue itself. The hosting process is super easy, just need to make sure the following prerequisites & troubleshooting steps should be taken care off. Before disabling SELinux you may try sysctl -w vm.swappiness=0. Details about the step by step process of deployment of CDH 5 on MS Azure Virtual Machine(RHEL 6.x) can be viewed on YouTube channel. 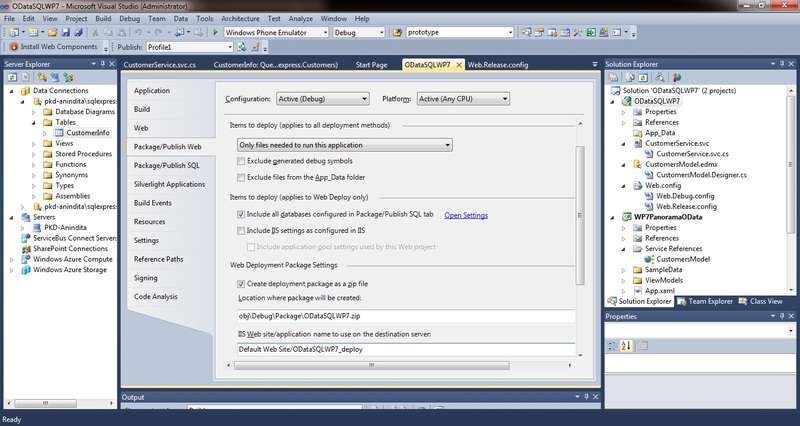 While it’s common to run Node.js applications & deploy them into Windows Azure. 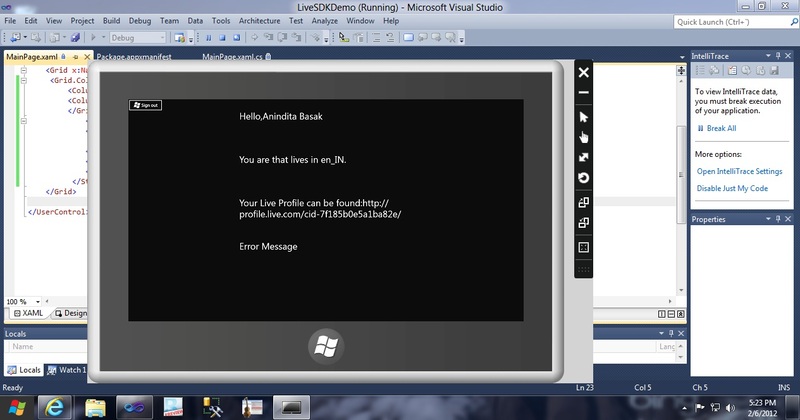 Lets start by building a simple Demo of building a Node.js app in Cloud9 IDE & deploy it into Windows Azure. 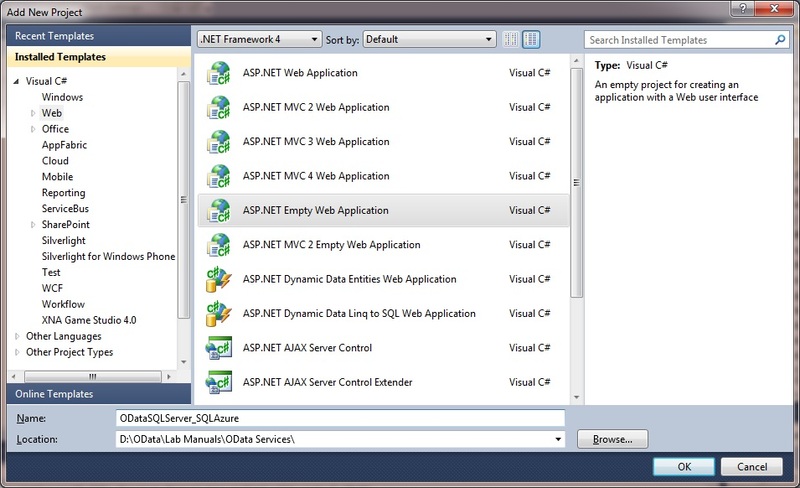 Node.js is an open – source toolkit for developing Windows Azure based apps. Cloud9 is a browser based cross-platform development environment supports for Node.js projects which can be directly deployed to Windows Azure. Cloud9 IDE is an ideal browser tool for Chrome -OS & works in OS X , Linux & Windows. Alternatively you can Sign in using Github Id. So, lets first create a Cloud9 Project , click on the icon ‘Create a new project’ . 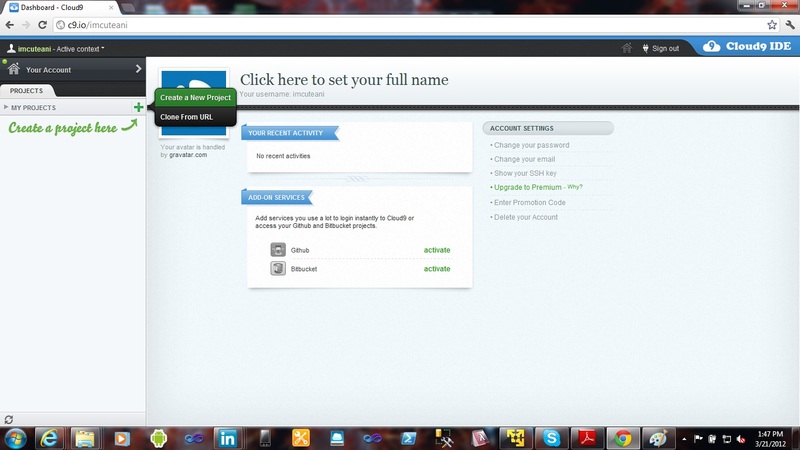 Select the name of your cloud project & click on Create to create the project. Start Editor after the project is being created. 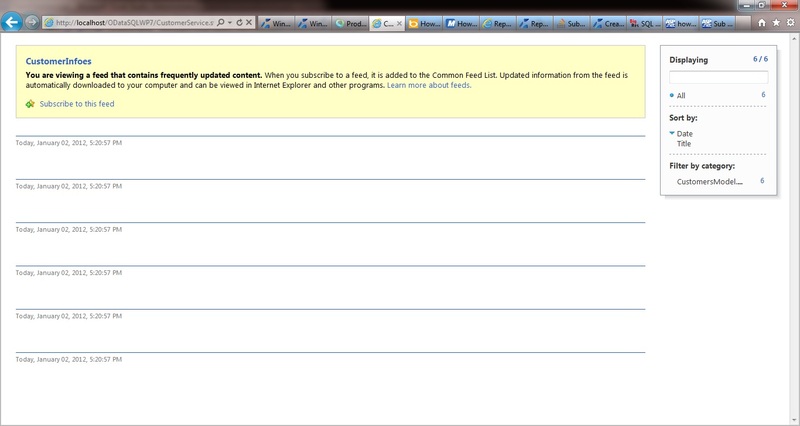 You would be prompted for dashboard preview but is you need to code directly click on Just the editor, please. Start coding by selecting New File from the menu. Paste the following code in the file. Next save the file as ‘server.js’ from the Save As menu. 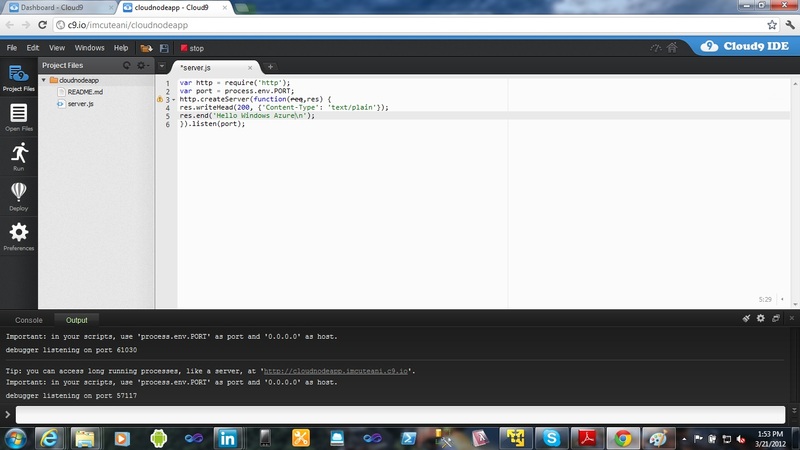 Start debugging & preview the output in browser as cloudapp.net app. Now, deploy the app by clicking on Deploy button from the button grid options & select Windows Azure as deployment platform. Next, you will be prompted to Windows Azure portal & start migrting your on-premise node.js web app in Cloud9 IDE app into Windows Azure. 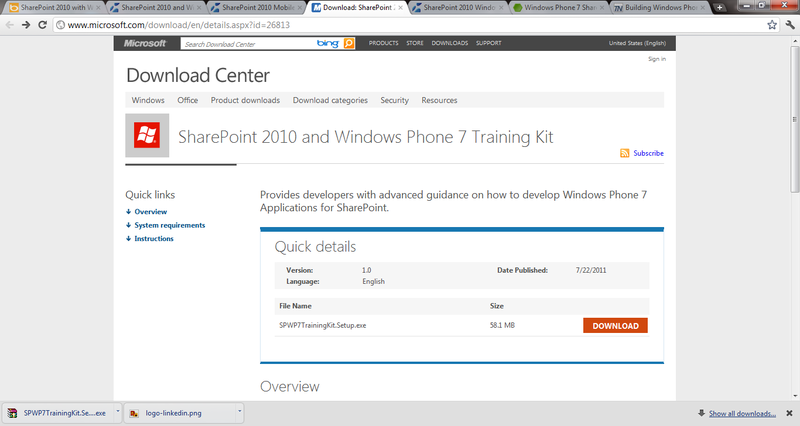 Now, Install the Live SDK & Check out the Extension on VS 11 Developer Preview in Add Reference section. 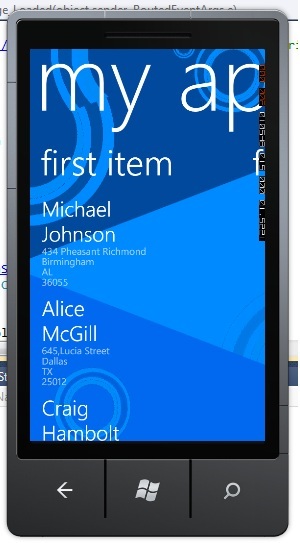 Now create a new Metro Style project in VS 11 Developer Preview . 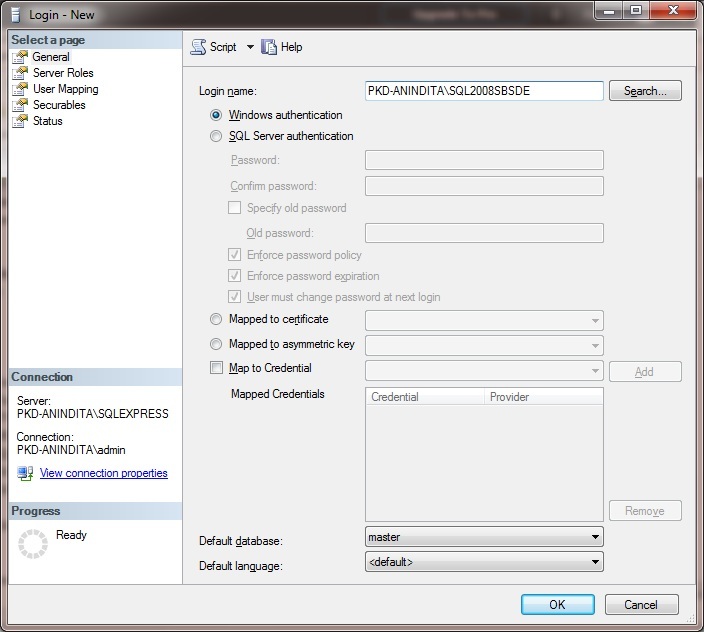 You need to login to https:manage.dev.live.com with your Windows Live ID & add the Metro Style Apps Package Name & Publisher Name in Windows Live Connect Portal to integrate LIVE SDK CONNECT & Push notifications with your Metro Style Apps. 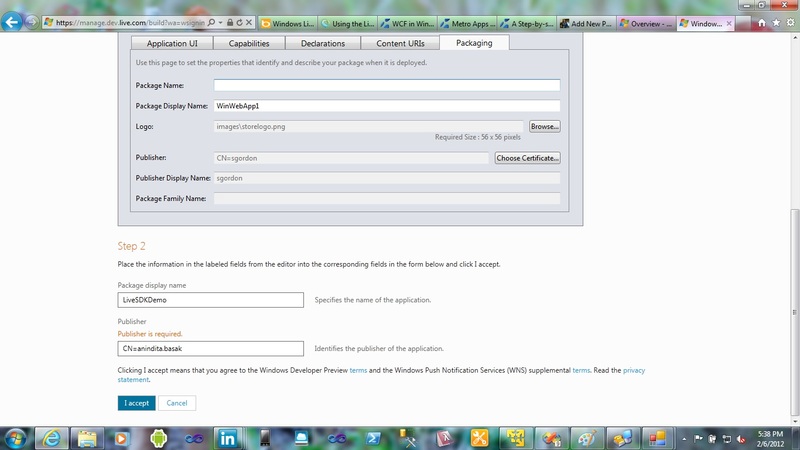 Accept the Terms & Condition to get the Live Application Package Name ID & paste it in your package.appxmanifest file. Now Press F5 & Test it in Windows 8 Simulator & check out the following output. Click on Yes & you will be signed in with Windows LIVE SDK Connect & enable to receive Push notifications in your Metro style apps. Accessing SharePoint 2010 applications are quite easy with the help of Windows Phone 7 which integrates directly with SharePoint. The training kit helps to leverage custom development using Microsoft SharePoint 2010 applications with Windows Phone 7 for OAuth services, Twitter API, Windows Azure, SQL Azure , Office 365, LinkedIn API, Silverlight Web parts & Bing Maps API. 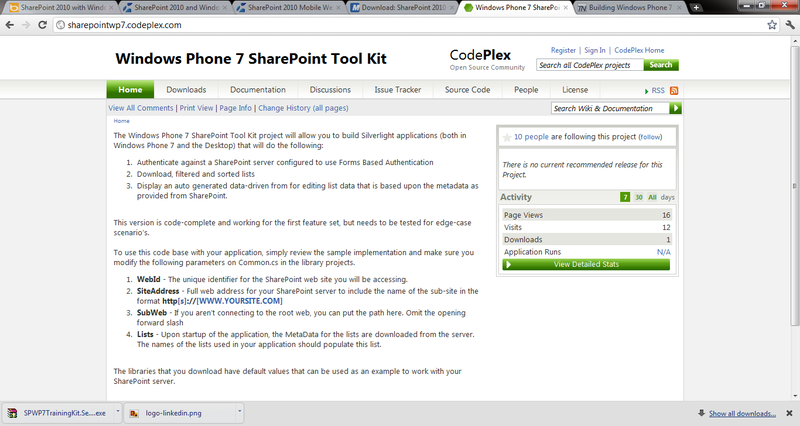 One of the great tool sharepoint 2010 with Windows Phone 7 toolkit is now available in codeplex which helps the windows phone 7 apps to access the SharePoint 2010 applications using Forms authentication. It downloads lists of data with prepackaged filters to limit the data without writing CAML. 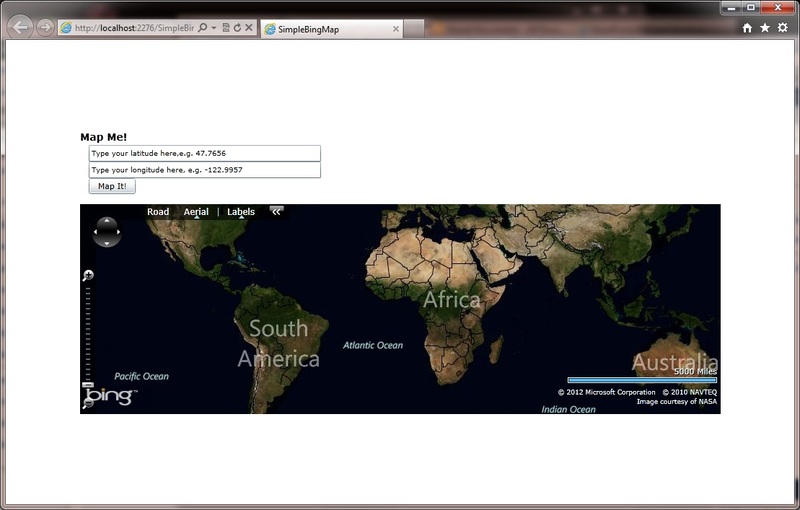 Developing Bing Maps API based Silverlight applications are quite easy integrating with Windows Azure , SQL Azure databases with Microsoft SharePoint 2010. 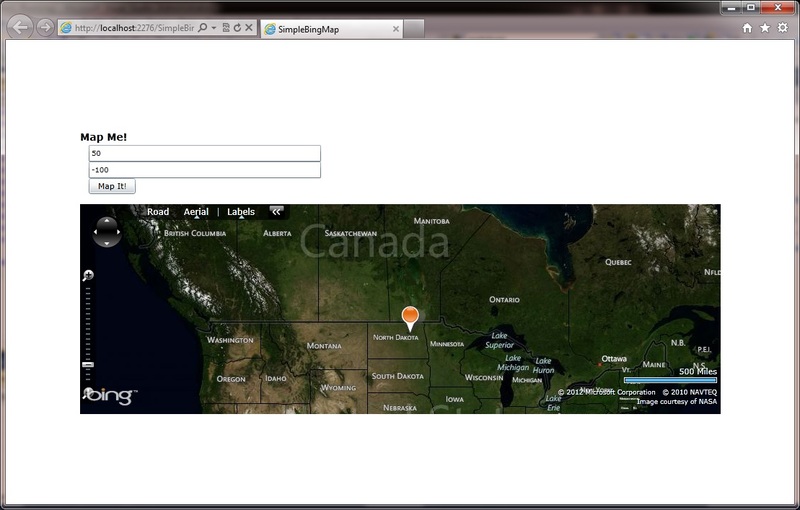 Bing Maps API provides a rich set of geolocation APIs which helps to easy integrate with Silverlight, Windows Azure application. 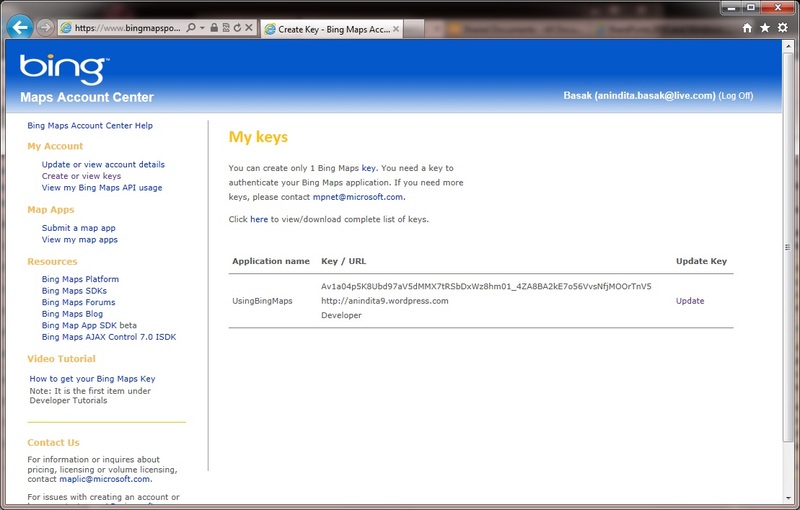 To use Bing Maps with Silverlight Web applications , you need to get the Bing Maps Developer key which can be obtained from www.bingmapsportal.com , register there with your Windows Live ID & get a developer key by clicking on create or view key. Next, you need keep the key in clipboard & should be used while developing your Silverlight application. 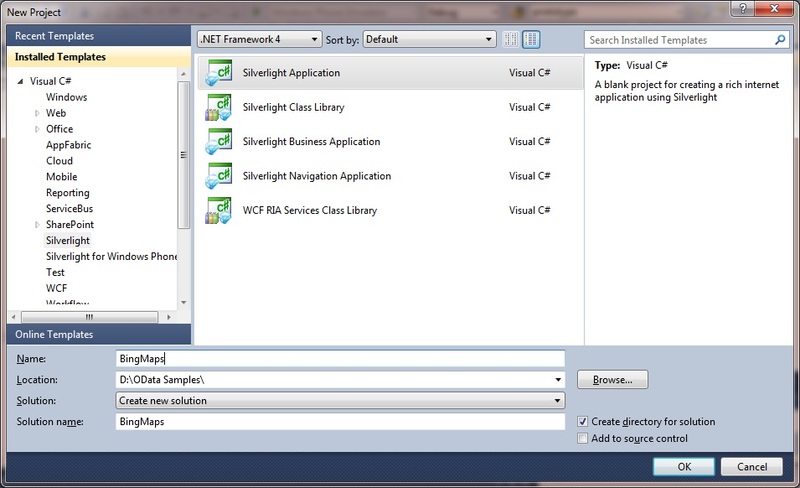 Now create a new Silverlight application from Visual Studio & modify the following XAML into it. 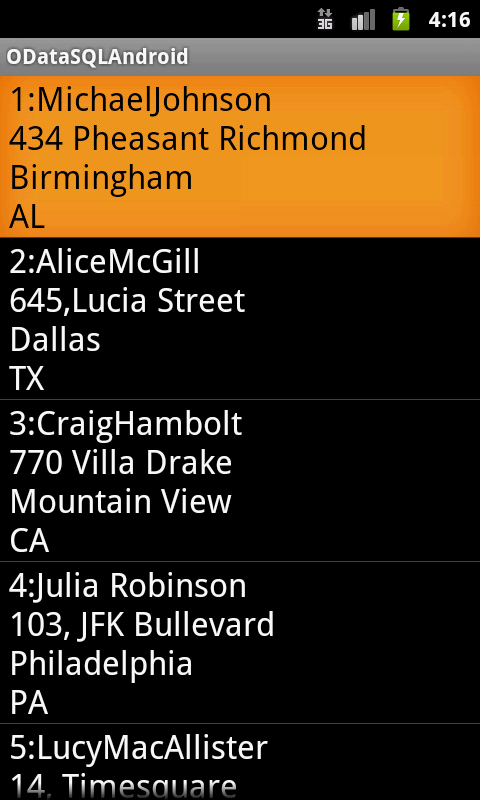 // Create a new pushpin to add to the map. 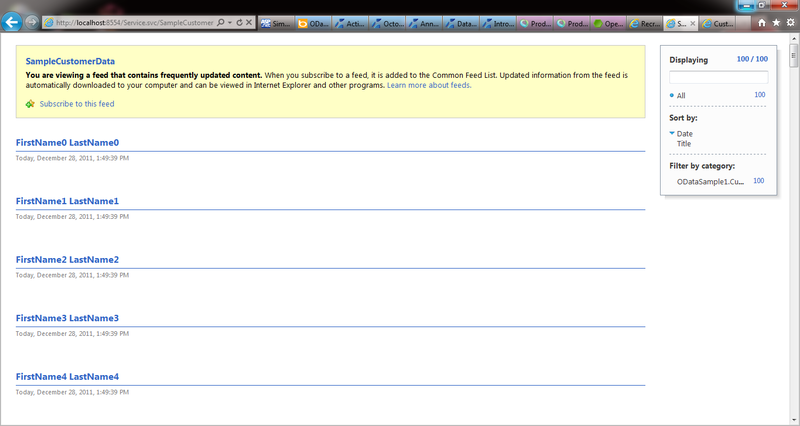 Now, it’s time to integrate with your SharePoint 2010 website. Open the Add Documents Library option & Click on Add, Click browser & paste the path of Silverlight .xap file in SharePoint directory. Click on Site Settings & Click on Edit Page to open the .xap file in SharePoint Web Part, Now open the insert tab-> Click on Media Content-> Silverlight Web Part -> paste the path of the Silverlight .xap file in the clipboard. Access it in Silverlight portal. 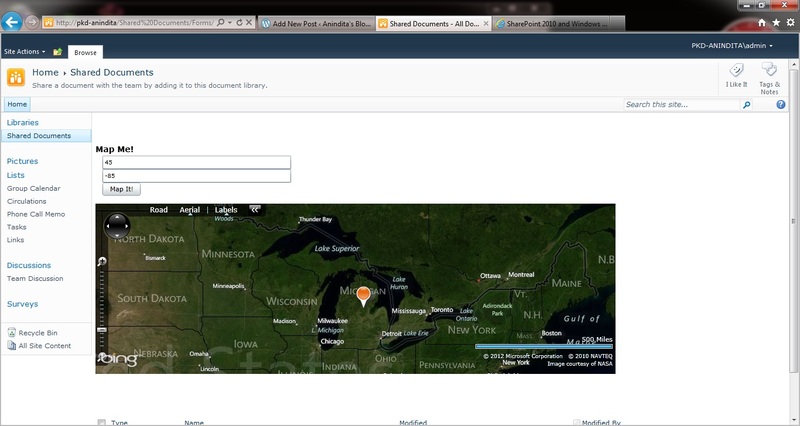 That’s it, The SharePoint applications is integrated with Silverlight web part along with Bing Maps API integrated in Cloud. Consuming data from SQL Server or SQL Azure database in Client Smart Devices like Windows Phone 7.1 , Android , iPhone or iPad is quite easy through the use of OData WCF Services. 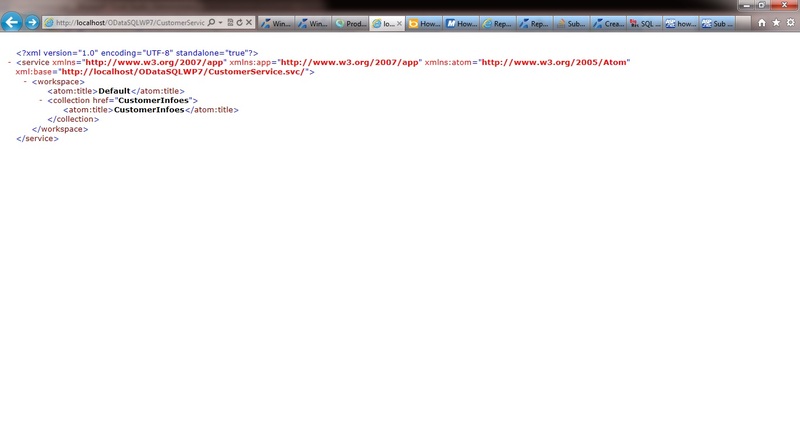 In previous posts , I already described how to consume data from live OData AtomPub feed showed in XML format. But, in this article I want to show how to consume SQL Server / SQL Azure data in Windows Phone & Android devices with the help of OData WCF services & entity frameworks where the service will be hosted in remote IIS & deployed SQL Server/SQL Azure database instance. 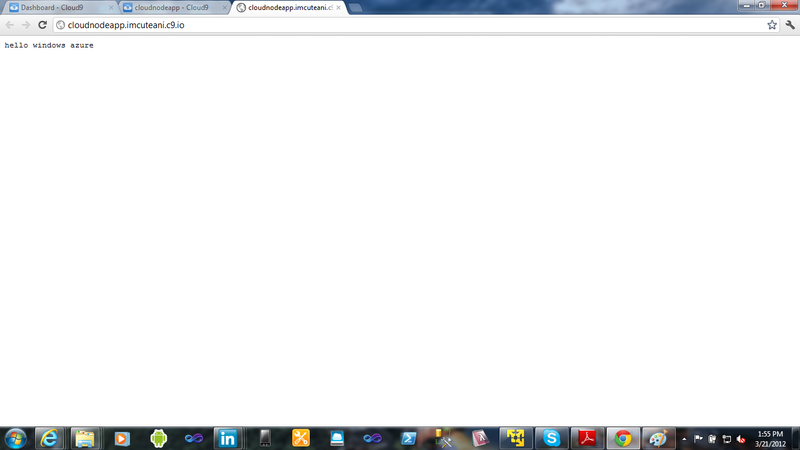 For creating solutions, let’s first start by creating an empty asp.net web application from Visual Studio. 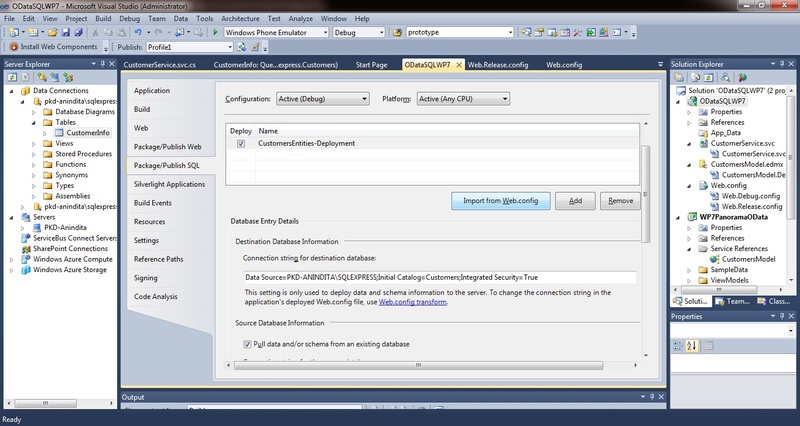 Start by connecting with your SQL Server / SQL Azure database with Visual Studio . 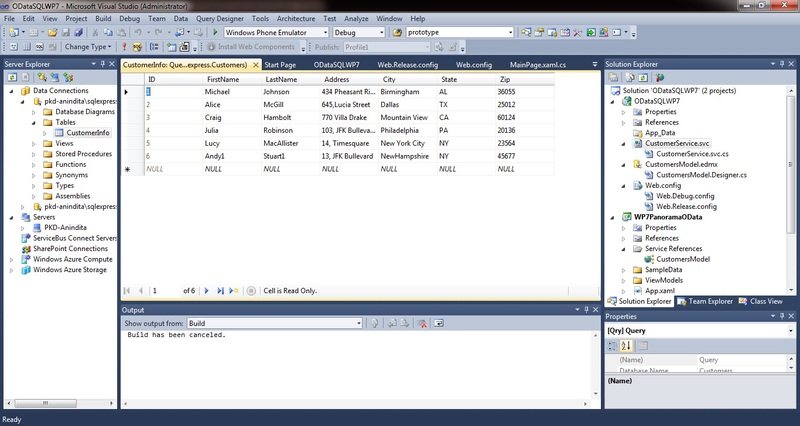 Next, add data in the tables of SQL Server / SQL Azure database. 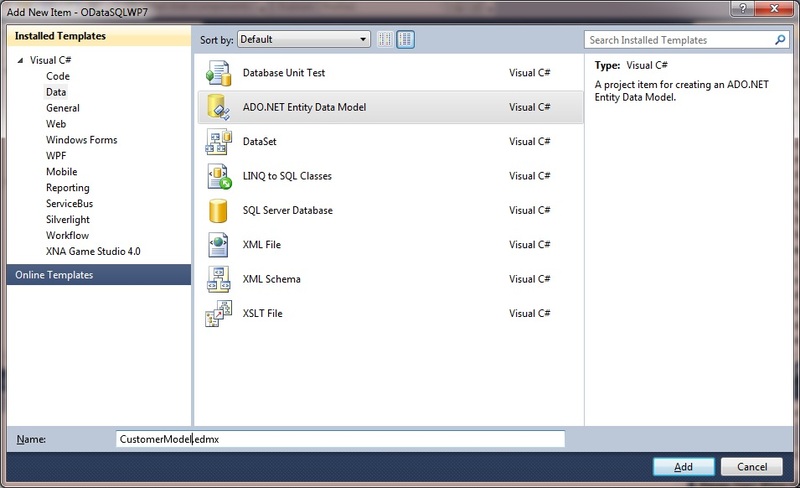 Next, Add an ADO.NET Entity Framework Model from Visual Studio to connect with SQL Server / SQL Azure database & save the connection string in web.config. 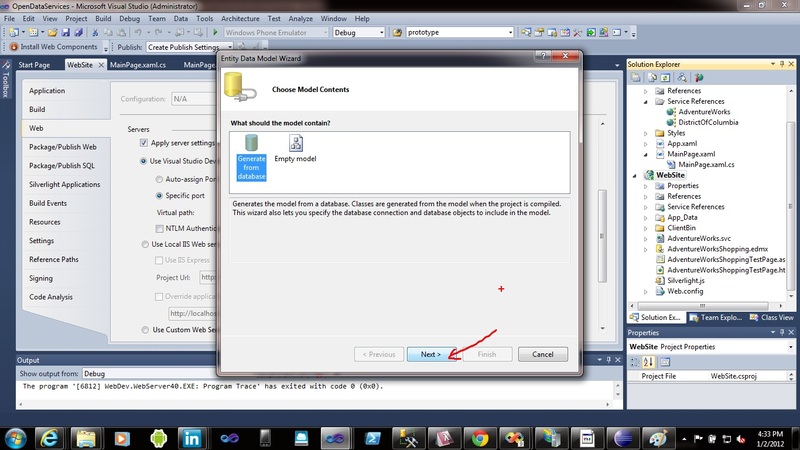 Click on Next to select Tables, Views , Stored Procedures to select data. If you would check the URL as http://localhost/ODataSQLWP7/CustomerService.svc/ as to be modified as http://localhost/ODataSQLWP7/CustomerService.svc/CustomerInfoes , you will get an 500 internal error. Reason of the error: It’s due to the permission set not configured for IIS to deploy the SQL Server/SQL Azure database data. 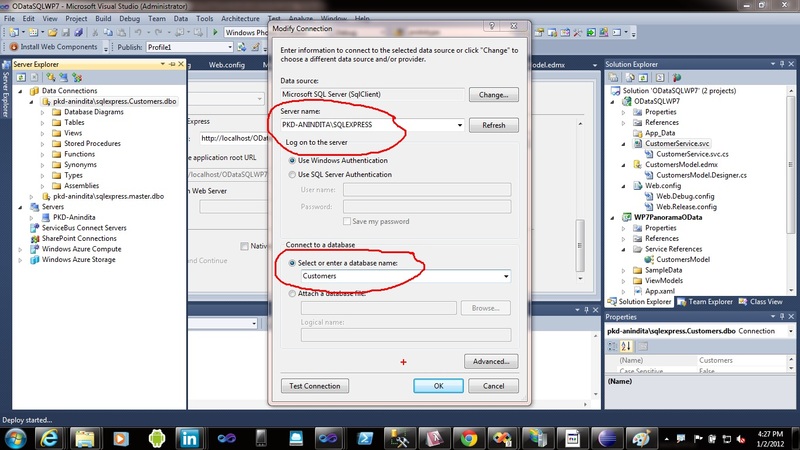 For SQL Azure database while creating the database in Windows Azure portal , you need to set the firewall settings definitely to 0.0.0.0 to 255.255.255.255 in order to deploy the SQL Azure database in IIS. Remember to check the settings: Include all databases in Package/Publish SQL tab. Next , Click on Package/Publish SQL options: Click on Import from Web.config to generate your SQL Server/SQL Azure database connection strings. 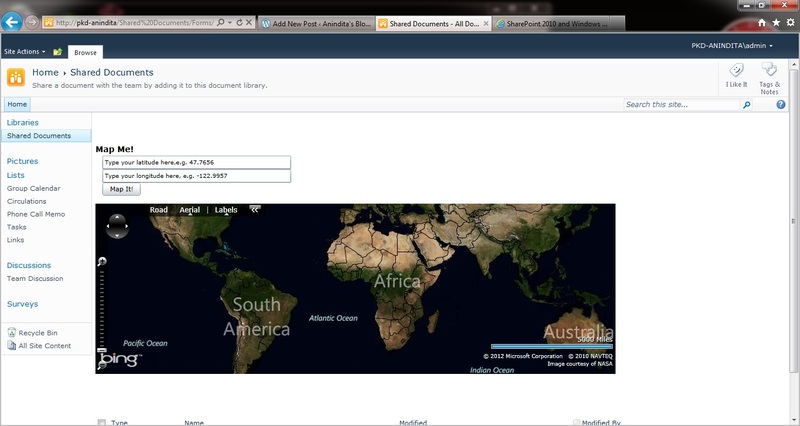 Click on Connection String for destination database & add your destination database which will be hosted in IIS. Click on the checkbox under Source database information: Pull data/or schema from existing database. 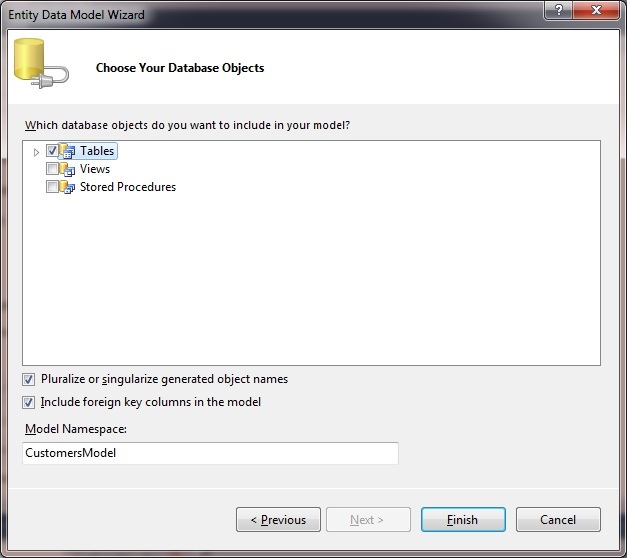 Under database scripting options select Schema only (if you would like generate schema only) or Schema & Data for generating schema & data deployement both. Add user for login as ODataUser from Windows Add Users – Groups utility , alternatively , you can add user from right-clicking My Computer -> Manage-> Users & Groups -> User -> Add User. 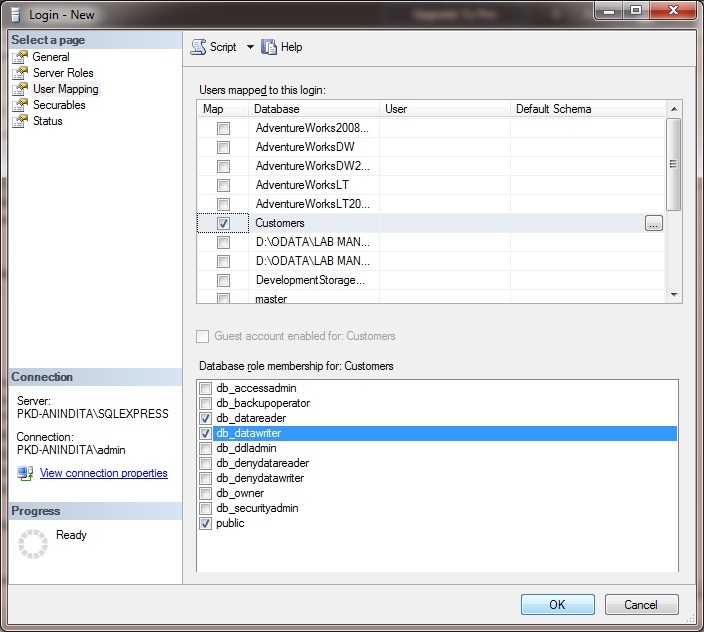 Now under the User Mapping tab add the database that you would like to deploy & click on db_datareader & db_datawriter. Click OK. 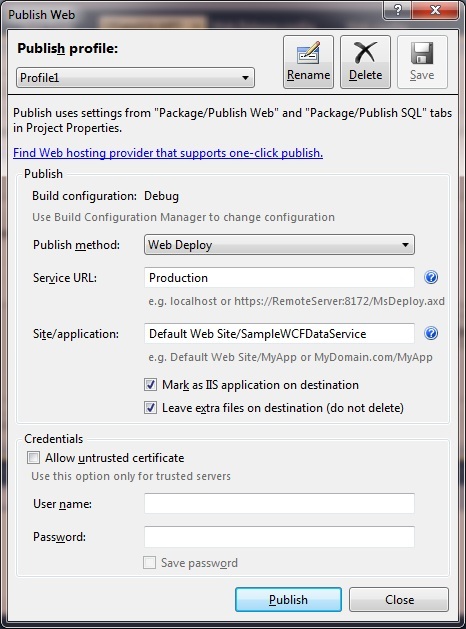 Deploy the Web Service in IIS from Web Deploy wizard in Visual Studio. 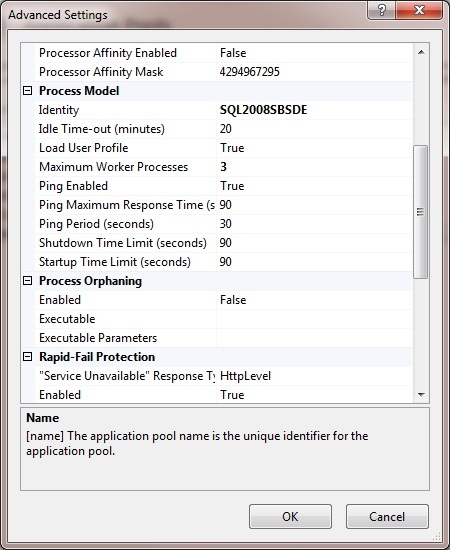 Next, open the Application Pool in IIS manager which holds the deployed service & click on advanced settings : Select Process Model as Application Pool Idenity -> Under Custom account Set the account credentials which you have set under the SQL Server logins section. After this settings, now access the Customer Info with the Service URL settings & it will show the entire RSS feed in AtomPub/ JSON format from the SQL Server / SQL Azure database. 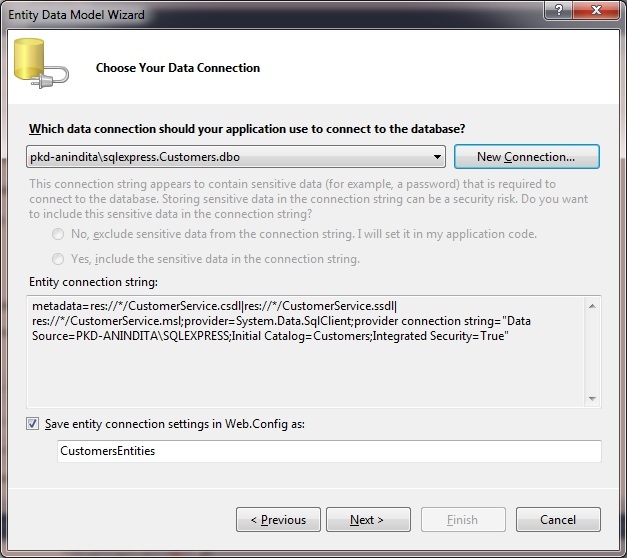 As in my previous blog , already mentioned to create about OData Service feed in ATOM format which can be consumed in Windows Phone 7, Android, iPhone/iPAD , Silverlight,PHP, Windows Azure Table Storage clients. 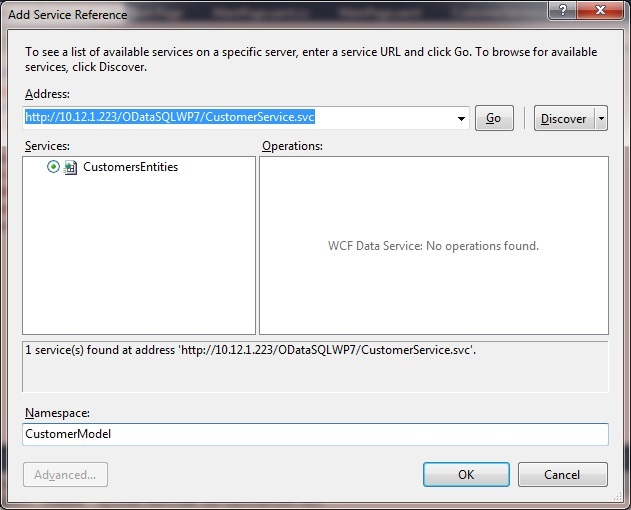 Lets check , how to consume the OData WCF REST service in Android client. 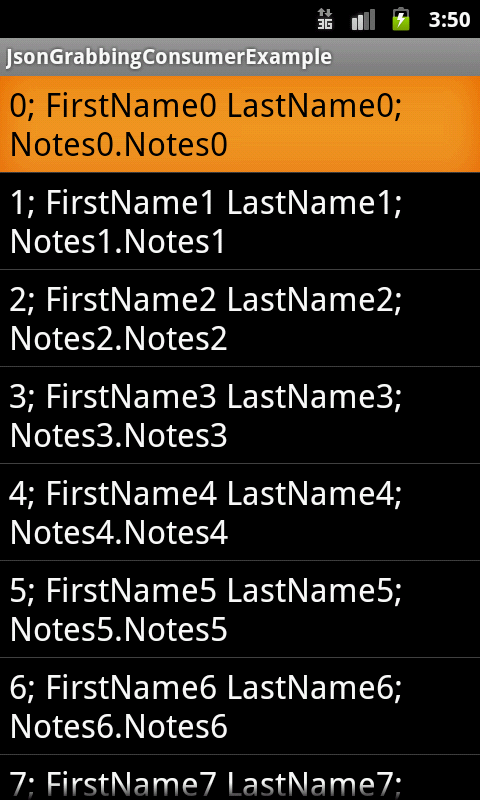 To work with OData Android client lets download Odata4j Android client library from RESTlet: http://www.restlet.org/downloads/ & select the OData4j-Bundle.jar in Java Build Path of your Android project. 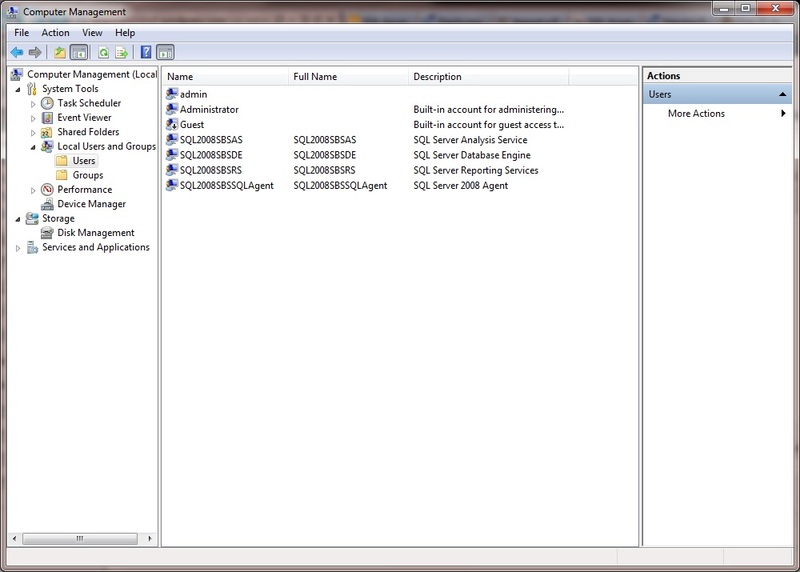 Next, to consume OData service from android device, we need to host the service in IIS. 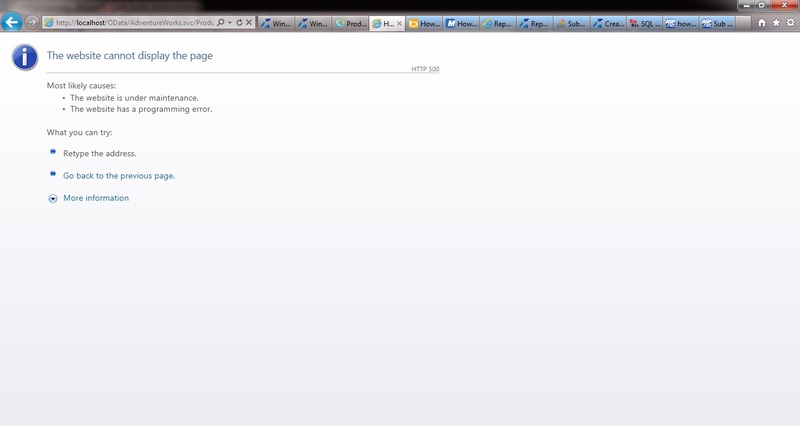 In my demo, i have hosted it in IIS 7.5. Now, Start develop an android client application which can consume OData feed.